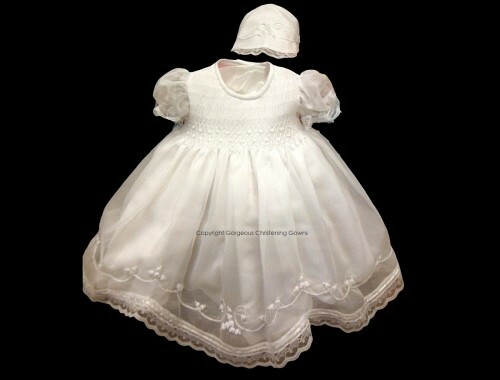 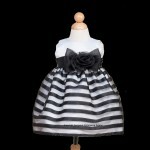 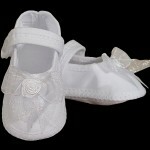 This beautiful christening gown is beautifully detailed on the sheer overlay. 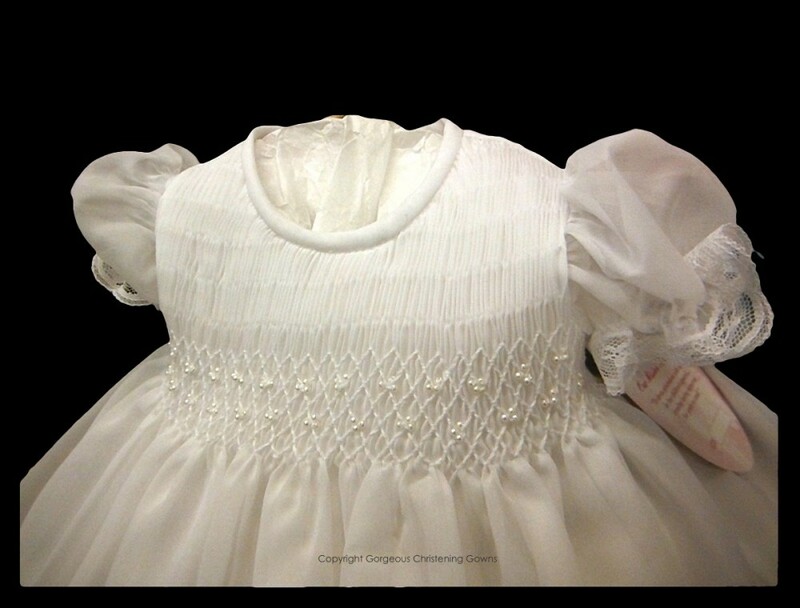 It has an embroidered smocked bodice with two rows of seed pearls. 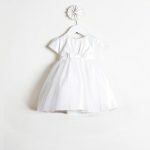 The short puffed sleeves are finished with lace trimmed elasticised ruffles.